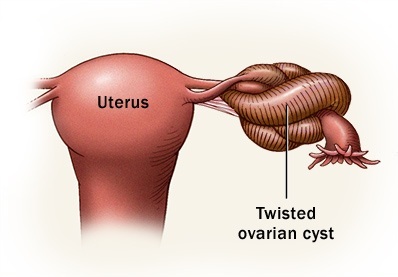 The ovary is one of a pair of reproductive glands present in women that are located in the pelvis, one on each side of the uterus and “Cyst” is a general term that represents a fluid-filled structure. Ovarian cysts are closed, sac-like structures within an ovary that contain a liquid, or semisolid substance. 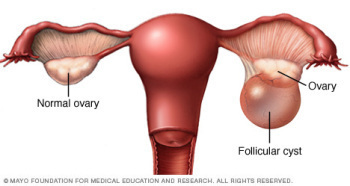 Follicle cysts– During Menstrual Cycle, the ovaries release an egg each month. The egg grows inside a tiny sac called a follicle. When the egg matures, the follicle breaks open to release the egg Follicle cysts form when the follicle doesn’t break open to release the egg. This causes the follicle to continue growing into a cyst. 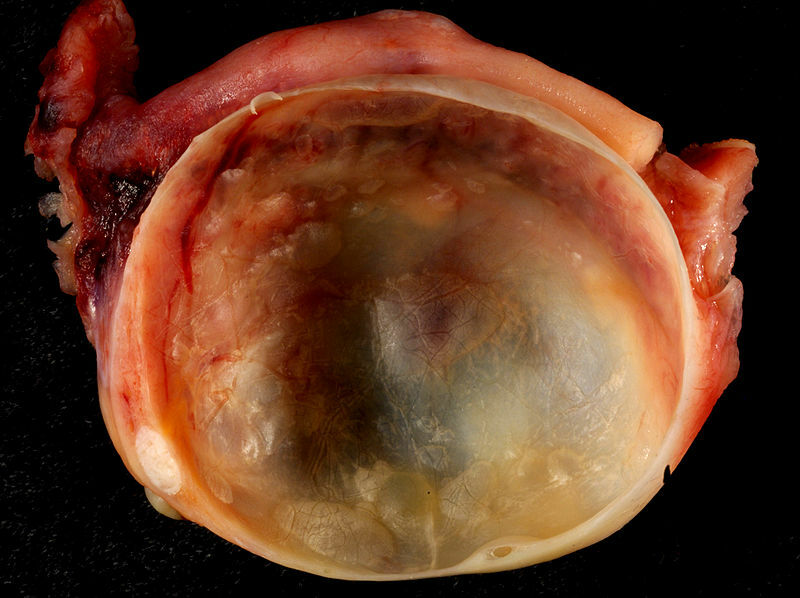 Corpus luteum cysts – When the follicle breaks open and releases the egg, the empty follicle sac shrinks into a mass of cells called corpus luteum. It makes hormones to prepare for the next egg for the next menstrual cycle. Corpus luteum cysts form if the sac doesn’t shrink. Cystadenomas – Cystadenomas are usually filled with watery fluid. Sometimes they grow larger in Size and forms Cysts. Endometrioses – This is caused by Endometriosis. Endometriosis means when the lining of the uterus (womb) grows outside of the uterus. Are you suffering from Ovarian Cysts? Then immediately contact Mrs. Sarah Hussain for better treatment to shrink or remove the cyst ! !